24/7 online B2C Technical Support Centre. 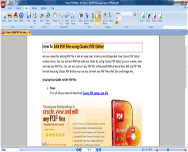 Complete PDF editing package for text. Easy and speedy installation setup without any fuss. Exquisite review and annotation makes document interactive. Latest PDF converter supports 500+ file formats. Highly specialized Zoom-In magnification up to 6400%. 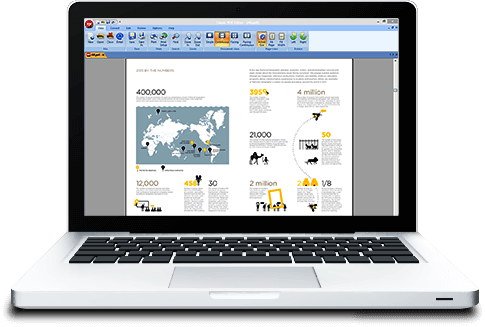 Classic PDF editor creates 100% industry-standard PDF files. Work Your Way through Digital Documents with Seamless Ease! Classic PDF Editor is the best PDF converter and reader that furnishes an ideal platform to create, convert, merge, edit, view and review PDF files. It has been developed by harnessing the unimaginable power of modern cutting-edge technology in order to help you efficiently manage your documents, spreadsheets, forms and other file formats with unprecedented comfort. PDF Processing Can Never Get This Simple & Cost-Effective! PDF files are a reliable and secure format to exchange electronic documents. They retain their original formatting, outlook and feel. Are you looking to create PDF documents from scratch, convert them into Microsoft Office (Word, PowerPoint, Excel) or review, edit and print existing PDF files? The softwares available in the market right now either have high pricing models or complex functionalities that might not be suitable for home users and small enterprises. 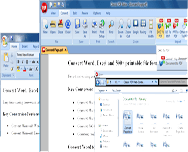 Classic PDF Editor uses these points as competitive edge and offers an economical yet simple PDF editing solution. Classic PDF Editor is the winner of a number of awards from prominent software evaluation platforms. It comes loaded with tons of enthralling features. It is also designed to give you optimum control over your digital documents. It furthermore boasts an intuitive and user-friendly interface. Moreover, an immersive digital experience ensures a hassle-free management of your digital documents. Keep your digital documents organized and arranged with the help of Classic PDF Editor, the best PDF converter & editor. With Classic PDF editor you can easily customize your file format according to your branding needs. You can also insert business logos, dynamic bookmarks and graphical illustrations, customize header/footer and assign page number, date and time to your PDF file without having to go through any complex procedures. Equipped with a completely automated and swift installation process, Classic PDF Editor is the one-stop portal to view, convert, merge, edit, import and email PDF files. It also comes with a comprehensive user manual which provides guidelines and instructions for the users so that they can take maximum benefit from this PDF editing software. In addition, our 24/7 customer service is at your disposal for continuous technical backstopping. 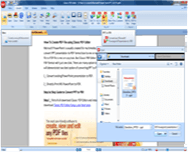 Why Choose Classic PDF editor? Are you really tired of your obsolete PDF software? You can create universally compatible industry-standard PDF documents with the smash-hit Classic PDF editor version 12.0. It can support more than 500 file formats and can merge over 600 file formats into a single PDF document. It also provides an amazing zoom-in magnification of up to 6,400%. Besides its state-of-the-art navigation mechanisms, it also allows navigation via keyword search, table of contents and hyperlinks.